No bartender needed, No noisy blender, No mess, You enjoy the party too! The choice is yours to enjoy the frozen drinks with or without alcohol. Check out our Margarita Frozen Drink Recipe Mix page. You can choose from Margaritas, Strawberry Daiquiri, Peach Bellinis, Pina Colada, Hurricane, and Mango. We even have products for kid slushies, like Blue Raspberry and Lemonade or any of our other flavors just skip the alcohol. We only use commercial heavy duty machines! See our Margarita machines rental page for details. Your Margarita and Frozen Drink Machine will be the hit of the party! 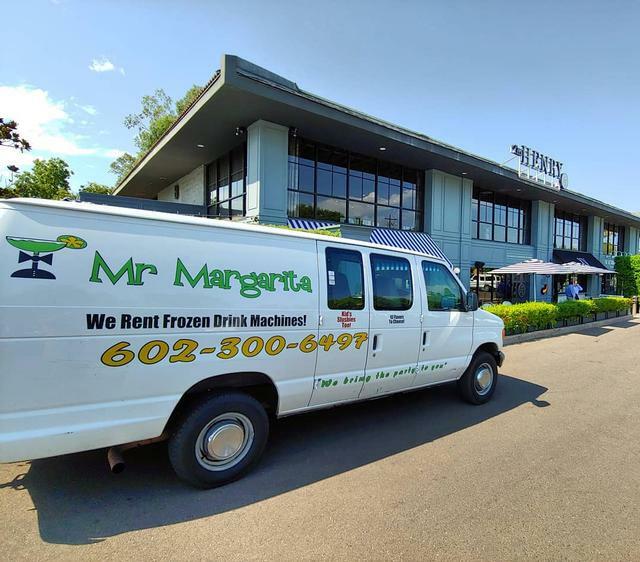 Give us a call @ 602-300-6497 or email mrmargaritaphx@gmail.com and we can answer all of your questions and provide you with the best service to help make your special occasion a success. Mr. Margarita does not sell, distribute or provide any type of alcohol. The use of our equipment is to be used in a safe and responsible manner and is the responsibility of the customer. If alcoholic beverages are placed in our equipment, it is the sole responsibility of the customer to use sound judgement to prohibit under age consumption of alcohol, and to protect driving while under the influence of alcohol. Remember - don't drink & drive. WE BRING THE PARTY TO YOU!!!! 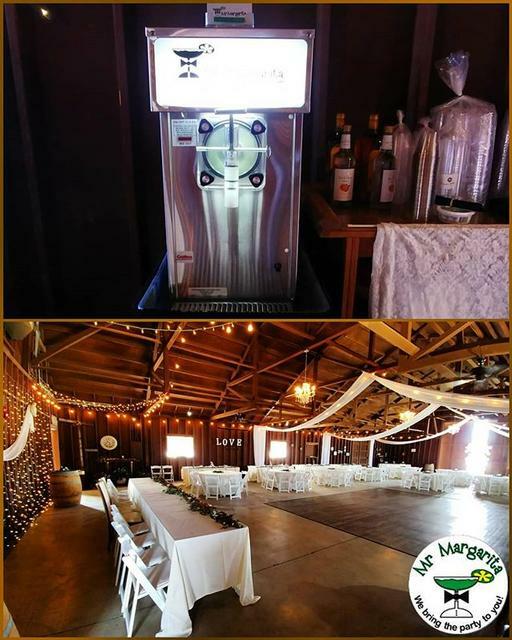 Mr Margarita rents frozen drink machines for all types of events, from weddings to kids parties. Let us help make your party a memorable one. Click on our Party Rentals Page to see how. Includes 1 mix, 50 cups, 50 straws, salt, delivery, setup, machine will come on a rubbermaid cart w/black skirt. Some restrictions do apply, if you are way out of our delivery area you could have an additional delivery fee. Call to confirm. Delivery is based on Mr. Margaritas schedule, if you need a specific time for delivery then an additional fee may apply. Call to confirm. Anthem**, Ahwatukee, Apache Junction**, Avondale, Buckeye, Chandler, El Mirage, Estrella Mountain Ranch, Fountain Hills, Gilbert, Glendale, Goodyear, Laveen, Litchfield Park, Mesa, Paradise Valley, Peoria, Phoenix, Queen Creek**, Scottsdale**, Sun City, Sun City West, Surprise, Tempe, Tolleson, Verrado. *If your city isn't listed here - give us a call for further details. **Some restrictions apply.